Picture this: you walk into the Perry Field House and see hundreds of business professionals dressed in their finest eyeing you down as you make your way through the crowded rows of desks. Flying resumes, high-strung nerves, and sweaty palms. The moment has come; it’s time to talk to your first company, but everything that you’ve ever rehearsed leaves your mind. 1. Edit your resume. Make sure your resume is an accurate representation of what you have to offer. That means proofread and perfect like there’s no tomorrow. These recruiters have an eye for when something’s off, whether that be grammatical or organizational. 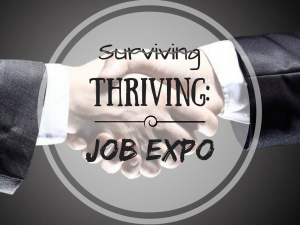 Click HERE for additional help with sculpting and polishing your resume! 2. Come up with a strategy beforehand. If you come unprepared, they’ll know it. Know which employers you want to connect with and what you want to say to each one. Once you get to the field house, find a map and plan out your route! It’ll make the day seem less hectic and perhaps even a little enjoyable. 3. Practice your handshake. Your handshake is practically your first impression on the recruiter. Make sure it’s up to par! Want more etiquette tips? BGSU’s College of Business has great resources found HERE! 4. Know your elevator pitch front and back. Why should they hire you? If you can’t answer that, neither can they, and there goes your opportunity! Outline your pitch and practice, practice, practice! 5. Go early in the morning. Trust me, you’ll be happy to just get it over with. You don’t want to have to go through your whole day in class worrying about what’s to come. Just get it out of the way. 6. Take a few minutes to scout out a route before starting to converse. They always have a map as you sign in that shows where each company’s representatives are set up. Take one, or two, and compare it to your game-plan in Step 2 and then… It’s go time! 7. Take a deep breath. Relax, everyone is just as nervous as you are. 8. Don’t sweat it. If something doesn’t go as planned or exactly how you wanted it to, learn from it and move on, don’t dwell on it. Don’t let it ruin your next interactions with other companies. Let yourself start fresh! 9. Be confident! They can smell fear from a mile away. Just kidding, sort of. Confidence really is key. It’s okay to be nervous, just learn how to hide it! Having confidence in yourself shows the recruiters that they can have confidence in your ability to do well at their company. You guys are gonna do great. You are capable of this, it may be quite a bit outside of your comfort zone, but you are capable. Trust me, it’ll be worth it! 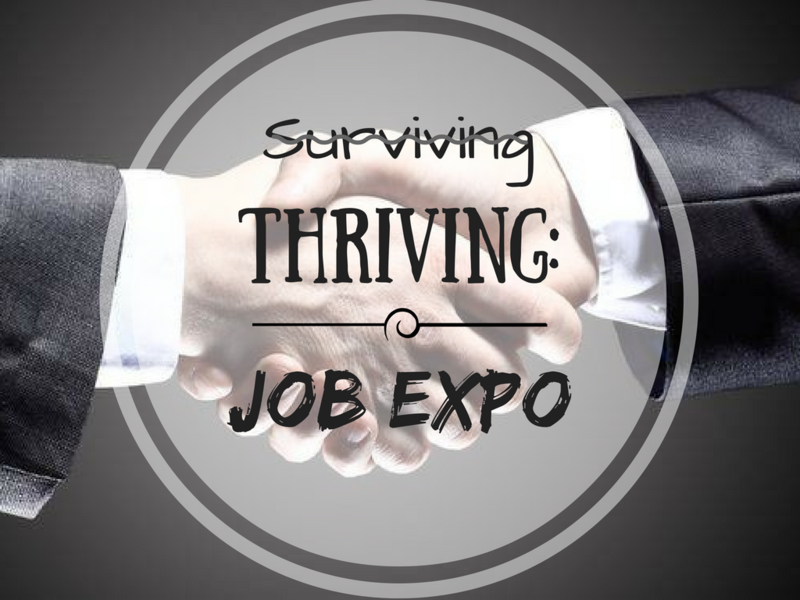 If you want more information on the employers planning to attend the Expo, or just want some additional support, click HERE!